Learn Some of the Roofing lingo - Beneficial Roofing | VOTED BEST Roofing Company, Call Us Today & See Why! Whether you’re building a new home and want a professional to install the roof or you already own a home and you’re needing a new roof installation due to damage or age, Beneficial Roofing has you covered. We install all kinds of roofs for residential and commercial buildings. Ever wonder what’s going on when the “roofing guys” are on your roof? Read on for a brief version of what’s happening up there. Deck: The surface installed over the supporting framing members to which the roofing is applied. Rakes– The vertical edges of gable-style roof planes. 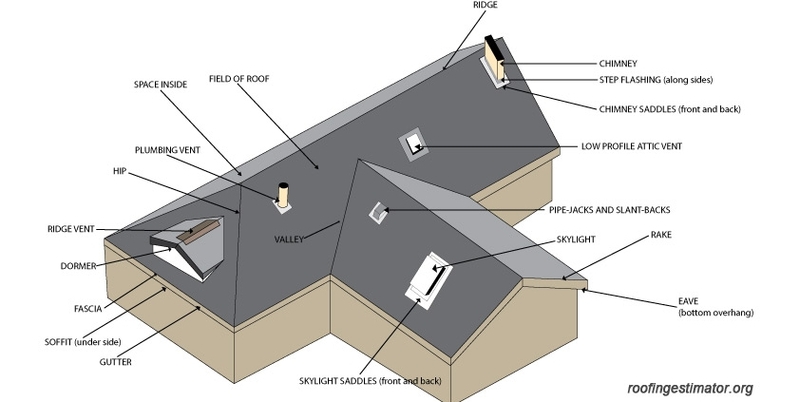 Flashing- Pieces of metal or roll roofing used to prevent seepage of water into a building around any intersection or projection in a roof such as vent pipes, chimneys, adjoining walls, dormers, and valleys. Step flashing: Flashing application method used where a vertical surface meets a sloping roof plane. Individual pieces extend on the roof plane and up the vertical surface and are overlapped and stepped up the roof as shingles are applied. Underlayment: A layer of asphalt-saturated felt (sometimes referred to as tar paper) which is laid down on a bare deck before shingles are installed to provide additional protection for the deck. So, now that we know a little bit of the roofer’s lingo, let’s see just what they do up on your roof. The old shingles and flashings will be removed. The decking will be swept as clean as possible. Loose sheathing will be reattached, and sheathing will be inspected for damage prior to new shingles being placed. 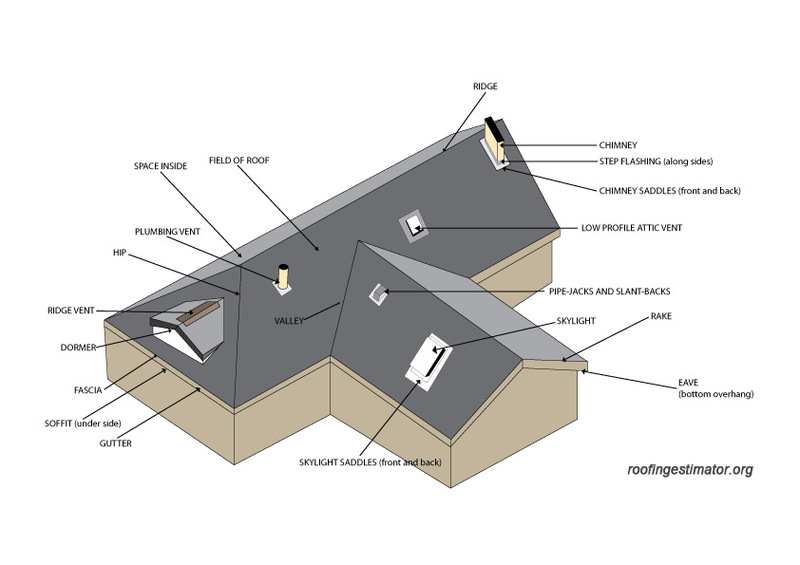 Metal step flashing applied with shingles at joints where the roof meets a wall or chimney. Roofers finish roof using specially-made pieces for capping the ridge. Roofers make a final pass across the entire roof, ensuring every nail is sealed with a professional strength sealant. Congratulations! Your New Roof Rocks! Thankfully, you won’t need a new roof very often. But, when age or weather damage keeps your roof from doing its job and threatens further damage to your home and belongings, we’re here to help. Beneficial Roofing offers a free consultation and award-winning professional roofing and customer service. With special pricing and financing available, we help you work with your homeowner’s insurance to make sure you get what you need at the price you can afford. Give us a call today! We’ve got you covered.